While pork consumption has been relatively stagnant in most developed countries, average consumption in South Africa has increased by roughly 3.5% per year over the past decade. Johann Kotzé, CEO of the South African Pork Producers Association (SAPPO), talked to Glenneis Kriel, about this trend. According to the Bureau for Food and Agricultural Policy, pork consumption in South Africa grew by more than 30% over the past decade and is expected to grow by another 30% over the next decade. Tell us more about this achievement? The trend should be seen in context. South Africa is not really a pork eating nation. Whereas pork consumption represents around 38% of the global per capita consumption of meat, it only represents 8% of the 62kg per capita meat consumption in South Africa. Growth has therefore been from a small base, increasing from 4.5 kg per capita to 5.2 kg per capita over the past five years. Total consumption in 2016 amounted to about 240,000 tons. To what do you ascribe the growth? The industry is working hard to promote and bust prejudices associated with pig consumption. The growing South African middle class is also resulting in people having more money to spend on meat. On top of that, meat prices are generally high at the moment, because of the impact of avian influenza on poultry stock levels, as well as a shortage of red meat due to sheep and cattle farmers rebuilding herds following large scale liquidations due to the past two seasons’ drought. Pork, while following this trend, is still relatively affordable in comparison with beef, mutton and lamb. People are therefore buying and eating more pork than in the past and this is resulting in them gaining first hand experience of the versatility and tastiness of pork. The industry, before starting its marketing campaign almost a decade ago, looked at the various LMS (Living Standards Measure) groups in South Africa and identified the lower middle class, middle class and wealthy consumers as the segments representing the biggest potential for growth. The lower middle class, with its more than 20 million adults, represents the biggest portion of South Africans. Before they moved up to this group, the majority of people spent their money on grain-based staple foods and cheaper meat products, such as poultry and off-cuts. Once in the lower middle class, they are looking for better meat products and spend about 27% of their income on meat. In price terms, pork is seen as something between poultry and beef, so most of the people in this group are unfamiliar with pork. We realised we had to introduce the meat to them, if we wanted them to eat pork. The middle class, representing about 8.5 million people, are more aware of their social status. They tend to buy products at retailers that are associated with affluence, because of their desire to communicate their success to others. They spend about 28% of their income on meat products. We realised that we had to target this group through the retailers they associate with prosperity. Wealthy consumers represent about 6 million people and they spend up to 43% of their income on buying meat. This group has become more aware of the origins of their food and animal welfare. To capture them, you need guarantees of quality and ethical production practices. The thing with South Africa, however, is that it has a very diverse cultural population, each with their own unique eating habits and traditions. To illustrate, we have eleven official languages. Looking at the economic status of different groups is therefore not enough. Marketing strategies also had to be adapted to accommodate different subgroups in the various groups. SAPPO has been running a consumer education programme with a focus on cultural based marketing for more than five years. It basically consists of joint venture campaigns with retail groups, influential food personalities, food competitions and various regional projects. One problem we found, was that people tend to overcook pork. So, we launched instore promotions where people had an opportunity to taste pork in the way it should be cooked. We also developed various trendy recipes, that take the cultural heritage of different groups into account, to teach especially the new emerging middle class how to cook pork. These recipes were published in retail magazines, consumer magazines and shared over the radio and via television. Along with these we introduced budget recipes – recipes that would feed six or eight people for under R20 a person (that is less than 2 British Pounds per person). We analysed the media to identify the best mediums to reach the middle class. On top of that we appointed a multilingual “pork” ambassador to host talks on the benefits of pork at events attended by up to 400 people at a time. How did you address negative stigmas? I think the South African pork industry traditionally adopted a low profile, which over time started counting against it. Now, however, we are putting more effort into informing consumers about production practices. People, for example, used to be unaware that South African producers are not allowed to feed swill to their pigs or that the majority of production takes place in sow friendly group housing. Our Pork 360 audit scheme, which was launched in 2016, has brought traceability throughout the supply chain. It serves as assurance of animal welfare and that only high quality, safe and healthy products reach the market. The scheme is internationally certified by ISC Global and currently has over 52,000 certified sows in the programme. Participating producers are audited annually to ensure minimum standards are adhered to, in terms of biosecurity, pest control, medication, feed control, effluent management, transport and housing. Based on our experience, the majority of South African pork producers are on par with international best practices in terms of production and animal welfare. We will continue with our marketing campaigns and have also initiated various other programmes to achieve this goal. We are developing a digital information bank that will allow role-players across the supply chain to benchmark themselves against local and international players. The information will allow industry players to make more informed decisions and identify ways to improve efficiencies. The data bank will be overseen by a third party, to prevent information abuse. SAPPO is also in the process of changing its corporate image: Our slogan has been changed to “Let’s talk pork” to emphasise our role in facilitating communication between producers and other role-players in the supply chain, as well as with consumers, the media and government. We recently bought a building in Pretoria, to strengthen the image that we are serious about the industry. We are also doing a lot to empower emerging farmers. Pork production has a high barrier to entry, with producers needing to invest R80 000 to 100 000 per sow (5000 to 5555 GBP) for an average 1000-sow operation. Chances are slim that small-scale farmers, with 20 to 50 sows, might ever be able to go this large, but that does not mean they will not be able to make any money from the industry. We want to pair these farmers with mentors and retired veterinarians to improve production efficiency. We are in the process of negotiating funding from various cooperative companies, to facilitate this programme. Many South African companies want to get involved in transformation, but they are scared off when programmes are unstructured. SAPPO wants to become a vehicle through which this funding can be channelled. 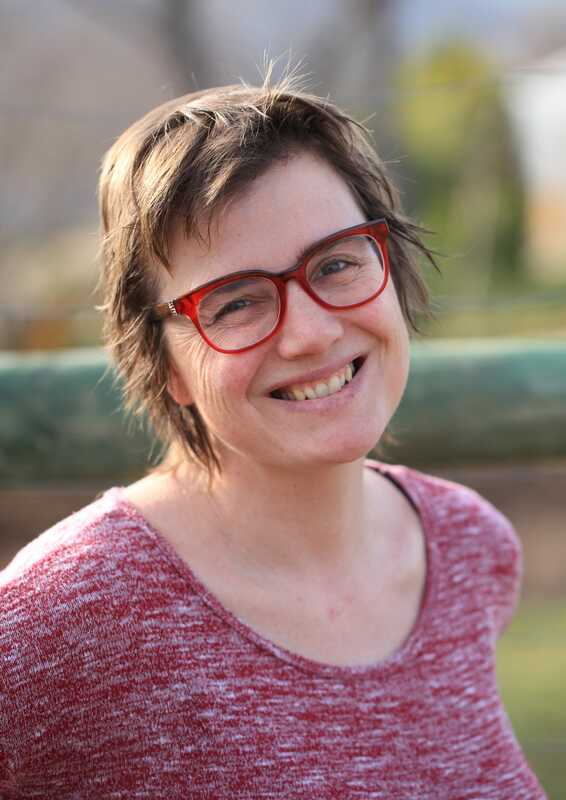 Glenneis Kriel is a freelance agricultural journalist from South Africa, with more than a decade’s worth of writing experience. She thinks that working with farmers is the best imaginable job.